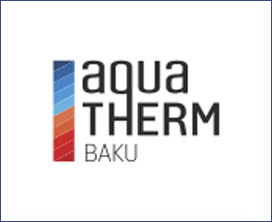 11th International Exhibition for Heating, Ventilation, Air-Conditioning, Water Supply, Sanitary and Swimming Pool. October 18 in Baku Expo Center kicked off the Caspian Construction Week. The number of its participants makes it the largest event on the non-oil sector in the region. The Caspian Construction Week includes three exhibitions – the 23rd Azerbaijan International Construction Exhibition WorldBuild Baku, the 10th Anniversary International Exhibition for Heating, Ventilation, Air-Conditioning, Water Supply, Sanitary, Environmental Technology, Swimming Pool and Renewable Energies Aquatherm Baku and the 10th Anniversary Caspian International Protection, Security and Rescue Exhibition Securika Caspian which will occupy two halls at Baku Expo Center. WorldBuild Baku is the most important trade event in the region for building and architecture, and design and renovations. Every year, professionals from a range of different countries attend the exhibition to find business partners. The exhibition was preceded by a press conference. The press conference was attended by Mr. Anar Guliyev - Head of Staff of State Housing Development Agency under the President of the Republic of Azerbaijan, Mr. Edward Strachan - Regional Director of ITE Group, Mrs. Maya Gafarli - Project Manager of WorldBuild Baku and Mr. Rashad Gadimov - Project Manager of Aquqtherm Baku and Securika Caspian. More than 20 media attended the press-conference from AzTv, APA, Azertag, CBC, ITV, Interfax, Vestnik Kavkaza, Report, TREND and other agencies. The official opening ceremony was attended by Mr. Niyazi Safarov, Deputy Minister of Economy of the Republic of Azerbaijan, Mr. Sadig Sadigov, Deputy Director of the State Housing Development Agency under the President of the Republic of Azerbaijan, Mr. Elkhan Asadov - Deputy Chief of State Agency on Construction Safety Control of Ministry of Emergency Situations of the Republic of Azerbaijan, Mr. Elbay Qasimzade, Chairman of the Union of Architects of Azerbaijan, Mr. Edward Strachan – Regional Director of ITE Group Plc.